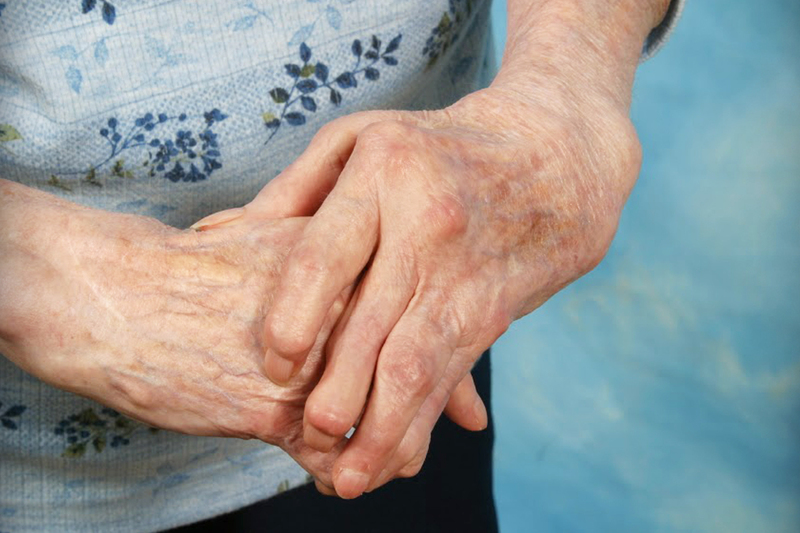 Arthritis is a condition that ails millions of Americans today. The most common mode of treatment for arthritis has been joint replacement. However, joint replacement surgeries are not a permanent solution and tend to wear out after 15 years(Chicago Tribune, 2001). Scientists have been working to find a cure for arthritis using stem cells. This is a new mode of therapy that is being developed to cure two main types of arthritis: osteoarthritis and rheumatoid arthritis. Stem cells taken from the patient’s bone marrow or fat tissue are grown inside the laboratory under the prescribed condition. They are then reinjected in the body as a way of treating arthritis (Lifescript.com, 2014). How Do Stem Cells Help In Treating Arthritis? Recent studies have suggested that adult stem cells that are injected in the body of a patient have the ability to reduce inflammation in the joint. Stem cells tend to naturally produce anti inflammatory molecules that are helpful in slowing down the degeneration of joints normally seen in osteoarthritis. Stem cells may also help to reduce the pain experienced in arthritis by producing therapeutic proteins (Chicago Tribune, 2001). Previously, stem cell therapies focused on the treatment of arthritis have sought to repair small, localized areas of the damaged cartilage. However, recent studies have also looked at how to inject enough stem cells to repair the damage as best as possible, or to grow enough cartilage to provide sufficient joint resurfacing (Chicago Tribune, 2001). A recent study funded by EU showed that it was possible to treat rheumatoid arthritis using adipose cells taken from tissues of a healthy donor. Adipose tissues have been shown to have repairing as well as anti-inflammatory properties. They can be taken through a standard liposuction procedure and grown in lab by cell culture. The results of the study have so far been promising as testing in lab models has proved to be positive and scientists are now preparing to begin early stages of a clinical trial (Horizon 2020, 2014). Although stem cell-based therapy for arthritis seems to be an effective treatment, it should be noted that no stem cell therapies have been tested or approved by the FDA (Lifescript.com, 2014). This is why many clinics offering stem cell treatments are in other countries outside the United States. Some think stem cell therapies should be avoided now as they could have unforeseen side effects, just like any other form of therapy. These side effects can include formation of different types of tumor, or the conversion of stem cell into a different cell type hat may not be beneficial for treating arthritis at all(Lifescript.com, 2014). Treating arthritis by stem cell-based therapy is an exciting new area of medicine which must be explored further before it can be made available commercially. The scientific community and the public should collaborate to extend knowledge in this area for the benefit of mankind. Chicago Tribune, (2001). Stem cells: A new therapy for arthritis?. [online] Available at: http://articles.chicagotribune.com/2013-04-24/health/sc-health-0424-arthritis-stem-cells-20130424_1_stem-cells-farshid-guilak-cartilage [Accessed 22 May. 2014]. Horizon 2020, (2014). New stem cell-based treatment for rheumatoid arthritis – Horizon 2020 – European Commission. [online] Available at: http://ec.europa.eu/programmes/horizon2020/en/news/new-stem-cell-based-treatment-rheumatoid-arthritis [Accessed 22 May. 2014]. Lifescript.com, (2014). Stem Cell Treatments for Joint Cartilage | Lifescript.com. [online] Available at: http://www.lifescript.com/health/centers/arthritis/articles/stem_cell_treatments_for_joint_cartilage.aspx [Accessed 22 May. 2014].